Please allow up to 21 days delivery for orders outside the UK. If you are using AOL browser before version 3.0 you will not see on this page that we require your credit card number, expiry date, name on the card and the type of card. In this event, please include these details in the order section. 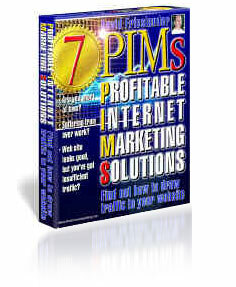 Take advantage by subscribing to the FREE 7 PIMS newsletter. It will drop in your mail box only when something is worth saying!